Tu Youyou, who was awarded the Nobel Prize for medicine this week, at her home in Beijing. 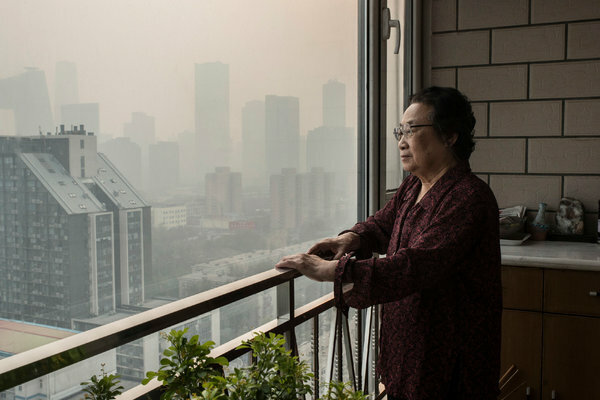 The door to Tu Youyou’s 20th-floor apartment in Beijing was opened by her husband, Li Tingzhao. Mr. Li, a metallurgy engineer, has been serving as Dr. Tu’s protector from the clamor of phone calls and well-wishers since the announcement this week that she had become the first citizen of the People’s Republic of China to be awarded a Nobel Prize in the sciences. The honor for her discovery of artemisinin, a drug that is now part of standard antimalarial regimens, is being widely celebrated in China as a vindication of traditional Chinese medicine. Her Nobel for medicine or physiology, which she shared with two other scientists who developed antiparasitic drugs, has also raised questions about the management of scientific research in China. Dr. Tu, 84, has been turned down for membership in the Chinese Academy of Sciences, apparently because she lacks foreign training and a formal doctoral degree. And some former colleagues have argued that the discovery of artemisinin, which grew out of a secret military project during the Vietnam War to fight the malaria that was debilitating China’s allies in North Vietnam, was a group effort, not the work of an individual. In an interview, Dr. Tu said she did not entirely disagree with that point of view, but noted that she led the team that made the crucial discoveries. Seated on a beige couch, she repeatedly turned to textbooks to make her points. She appeared in good health, though a little hard of hearing, which is why she missed the phone call notifying her of her prize. Letters of congratulations from the Chinese Academy of Sciences and Peking University lay on the living room table. Her husband proudly showed photographs of the couple in front of the White House when Dr. Tu traveled to the United States in 2011 to receive the Lasker Award for clinical medical research. Their apartment was filled with flowers from admirers and, toward the end of the interview, the mayor of Ningbo, her hometown, arrived with another bouquet.